Had a great time at the Developing Leaders mixer at the Greensboro Grasshopper’s game. A big thank you to Jimmy Haynes at Schell Bray for hosting us – the bacon wrapped shrimp was amazing. Over 90 attendees from the Triad joined us at the recently renovated Cardinal Kimpton Hotel in downtown Winston-Salem to hear John LaPenta, NC Deputy Secretary of the Department of Administration give an overview of ‘Project Phoenix’. Event sponsored by CBRE | Triad & DAVENPORT. 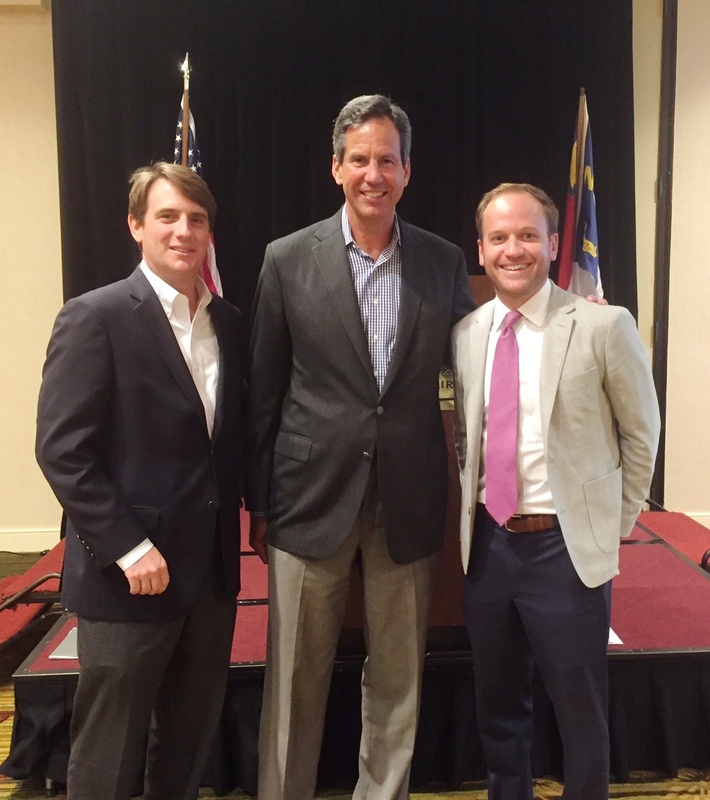 We had a great crowd join us for the June 22, 2016 NAIOP Piedmont Triad Luncheon. Stan Kelly, CEO, Piedmont Triad Partnership, shared some great information on job growth in our region. Click here to view his presentation. Thank you to our event sponsor Pilot Environmental. We look forward to seeing you in August. NAIOP members gave back to the community by volunteering their time on Monday, May 23, 2016 to help BackPack Beginnings to help them with their mission is to provide children in need with nutritious food, comfort items or certain basic necessities through the use of backpacks and other efficient means. Photos compliments of NAIOP member Madison Ridge-Canoy, US Lawns. and much more. Thank you to Ollie Chandhok, Publisher and President, The Triad Business Journal for moderating. Event was sponsored by: Frank L. Blum Construction Co, Davis Martin Powell & Associates, GEMCAP Companies, Linville | Team Partners, S&ME, Inc., Smith Leonard. Weaver Cooke | Kirkland. On April 20 NAIOP Triad headed to downtown Greensboro to check out some of the newest and innovative designs in office space. Lunch was held at the Marriott downtown where we honored Hardin Halsey, Womble Carlyle Sandridge & Rice, LLP for his 26 years of NAIOP membership. After lunch, Allen Oakley, Charles Aris and Scott Riddle, Transplace gave us tours of their newly completed downtown offices. Check out the photos! Congratulations to NAIOP North Carolina winning the Legislative & Government Affairs award at CL&LR. A collaborative effort of all three NAIOP NC chapters. NAIOP held our February luncheon on Wednesday, February 24, 2016 at the Embassy Suites in Winston Salem. The topic of convsersation was “Development Trends in Triad Area Downtowns”. Panelists were: Zack Matheny, Downtown Greensboro, Inc.; Randy Hemann, City of High Point; Jason Thiel, Downtown Winston Salem Partnership; and conversation was moderated by Bob Leak, Winston Salem Business Inc.
Over 100 CRE professionals came to hear the panelists discuss vision and place making (the importance of people’s patterns and how “place” drives activity) their vision for Triad downtowns, housing growth and retail development (when will we get a grocery store? ), development issues (what do we need more of downtown? ), historic tax credits, business improvement districts, job generation, and much more. 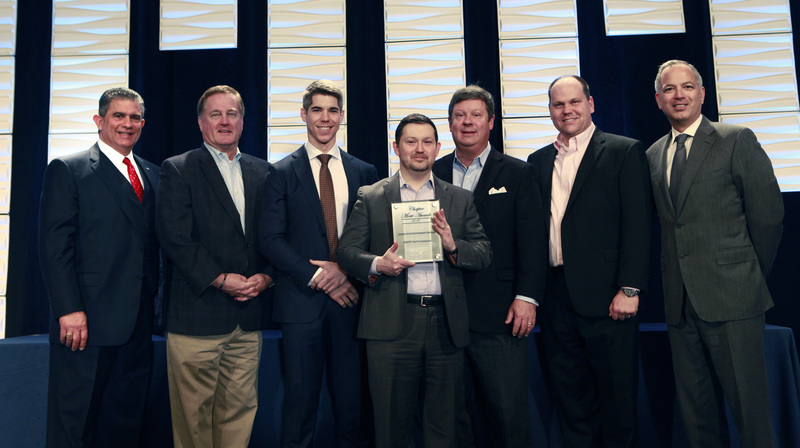 NAIOP Triad Goes To DC…and Wins! 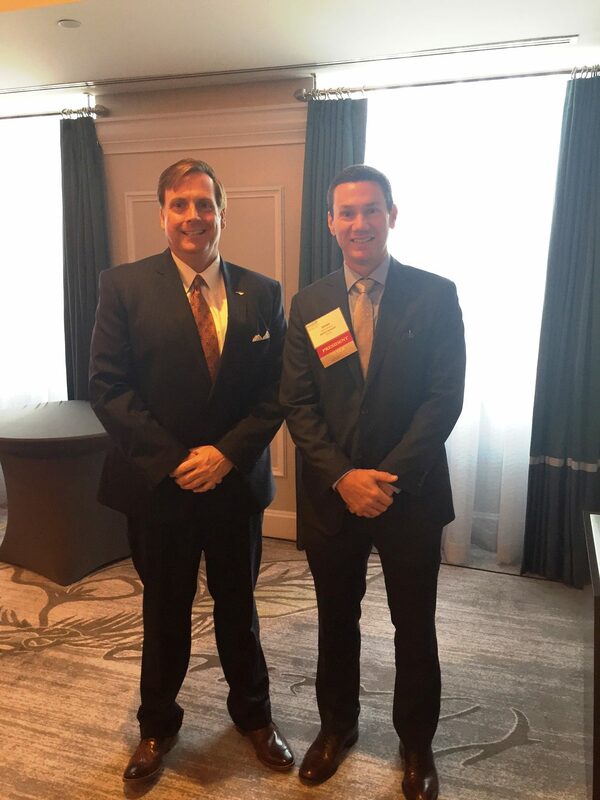 CLLR is an annual national conference hosted by NAIOP to bring together chapter leaders from across the country. This year’s conference was held February 8-10, 2016 in Washington, DC. 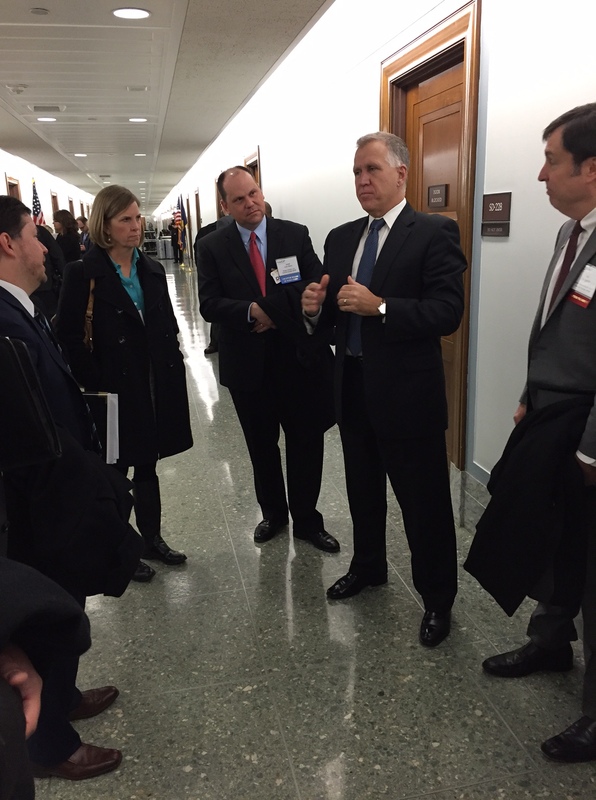 Our leadership got to learn more about other NAIOP chapters across the country, interesting program topics, and meet with key members on capitol hill to discuss our white papers. During the conference, the Piedmont Triad chapter won an award for outstanding sponsorship efforts.. The award would not be possible without the work and dedication of the board, the committee volunteers who make it happen, and the generous contributions from our industry partners who support our industry.